Some people say that the longest-lasting friendships are made in high school. But the thirty years of friendship between Gianni Salafia and Gaetano Luca began at their desks in college. Their common passion, geology (they founded an associate firm in 1991), came to uncover another passion: vineyards. 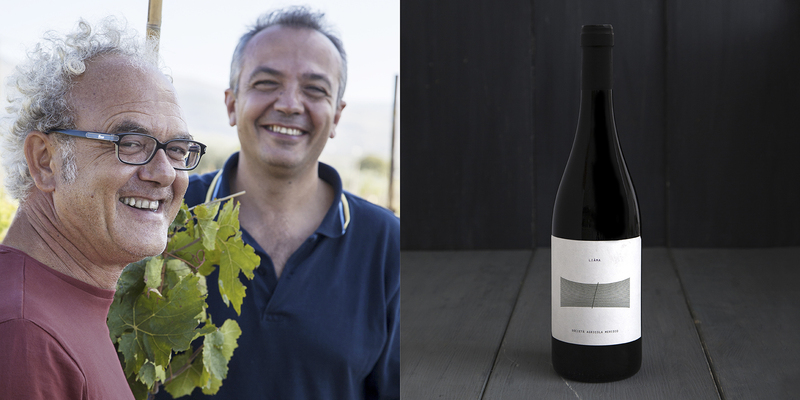 At that time in the 1990s, Etna and southwestern Sicily exploded, viticulturally speaking, and Gianni and Tano signed off one geological survey after another for wineries. Then, they learned from a producer how to make wine. Their dream remained just that, a dream, until 2007 when the two friends decided to invest their savings in a vineyard. They purchased a small plot of land, barely one hectare large, in Chiaramonte Gulfi near the most famous winemakers. They named it the Meridio Vineyard because it faces south, meridione in Italian, and also because they had just watched The Gladiator and their house at the end of the vineyard-lined road looked so much like the one Russel Crowe returns to at the end of the film. These two geologists know exactly what lays beneath their soil. In their words, the Meridio Vineyards have “brown, rocky, limestone soil, rocky calcarenite, with marly substrata.” And there’s more: “The typical calcarenite terrain has an important skeletal structure with a high percentage of limestone pebbles, which guarantee humid conditions even in especially dry summers, allowing the vines to get enough water.” In laymen’s terms, it’s perfect soil for cultivating vineyards, even just a small one like the Meridio if you have to plow the land yourself. 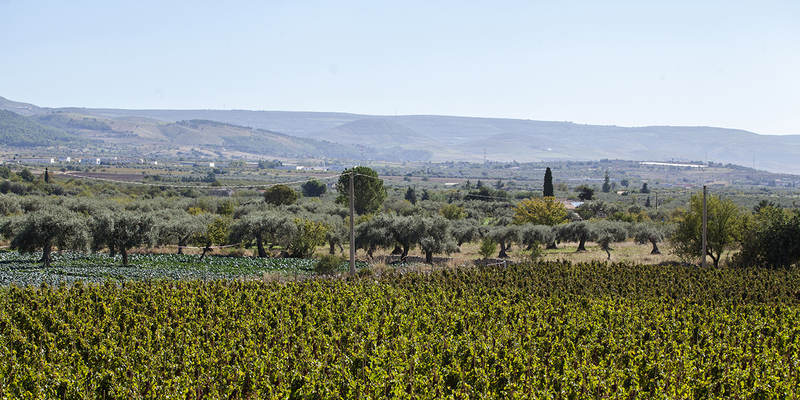 They decided to plant 3,500 cuttings of Alicante (imported by Spanish conquerors, Alicante is both a variety and part of the island’s history), 1,500 of Frappato, which gives their blends a light fruitiness, and 2,000 of Nero d’Avola, which is very traditional and makes their “Oh-so-Sicily!” label. They decided on a fundamentalist approach, enologically speaking. Nothing unnatural would enter the vineyards. The vines are cultivated in “alberello,” or small tree style like local tradition, which helps give them uniform exposition to the strong Sicilian sun. The only support used for the alberello vines is the Giant Cane, collected in the winter during a specific lunar phase, “as has always been done in this country up until the 1950s” before the invasion of iron rods. They baptized their first wine with the botanical name for the Giant Cane, Arundo Donax. 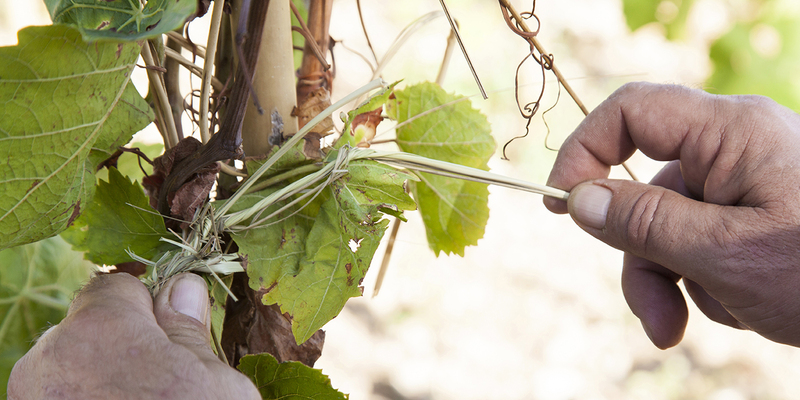 To tie the vines to the cane, they don’t use plastic; the only material allowed here is the “liama,” an incredibly strong blade of grass used for this very purpose by the Ancient Greeks, as its botanical name suggests (Ampelodesmos Mauritanica). The only fertilizer allowed is sheep manure, and the only treatment is verdigris. They do not irrigate, and they practice short winter pruning as well as green pruning in May in order to limit grape production and thus concentrate the flavors and aromas in just a few bunches per vine. Finally, harvest is of course done completely manually. And outside of the vineyards: be gone, sulfites! The first harvest in 2011 was excellent. They created Arundo that year, a blend of Alicante and Nero d’Avola. The 700 bottles they produced sold out in the blink of an eye. Their second harvest of 3,500 bottles kept its promise. The press began to be aware of these two geologist-winemakers, and the awards followed, even from abroad. In 2014, they made Liama, a blend mostly made from Frappato, with a small percentage of Nero d’Avola. If Arundo is the intellectual, introverted wine that pauses after aging in stainless steel to rest and think for a bit in wood, then Liama is the outgoing, friendly, immediate wine. And because in this case three is not a crowd and the creativity of these two geologist winemakers is promising, take a guess at the next novelty. Will our favorite geologist winemakers follow the trends with Frappato vinified as a white wine? We’ll await their answer at the next harvest.